H-066 Units: 24/pkg. 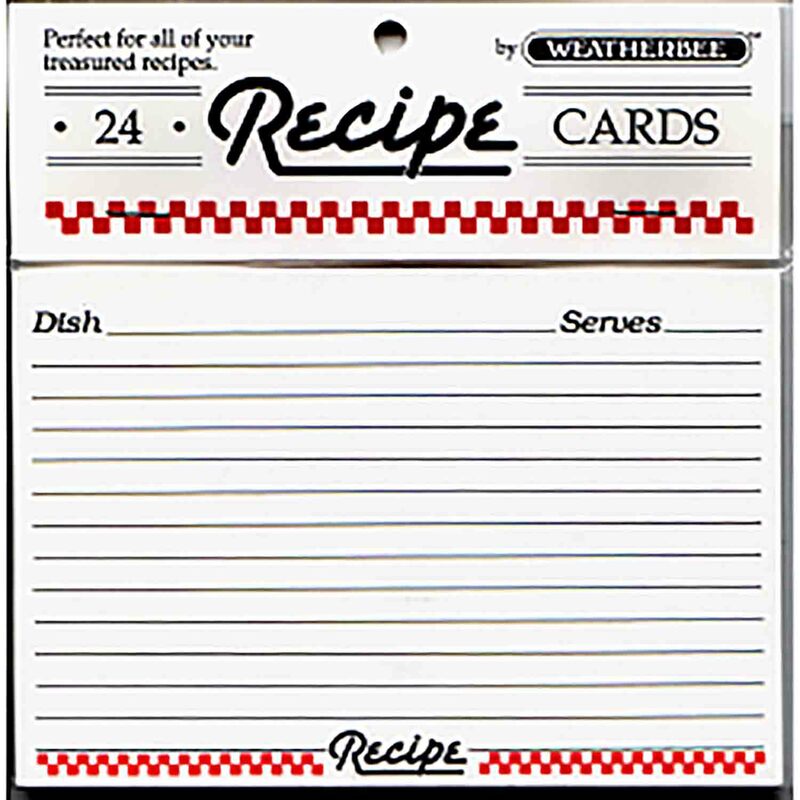 High quality recipe cards. Lines on the front, blank back. Has space for dish name and number of servings. Made in the USA.